The urban space − the city life that we directly experience − is one of the most fascinating subjects in photography. The exhibition [Space] Street. Life. Photography. Seven Decades of Street Photography in the House of Photography at the Deichtorhallen Hamburg encompasses some 50 photographers with around 350 works that will be shown during the Triennial of Photography in Hamburg under the theme Breaking Point/Space between 8 June and 21 October 2018. The exhibition marks a breaking point in street photography: all the participating photographers have long since emancipated themselves from Cartier-Bresson’s »decisive moment« and continued to pioneer new approaches to the genre. In a direct and lively dialogue, contemporary photographers will encounter icons of photographic history. 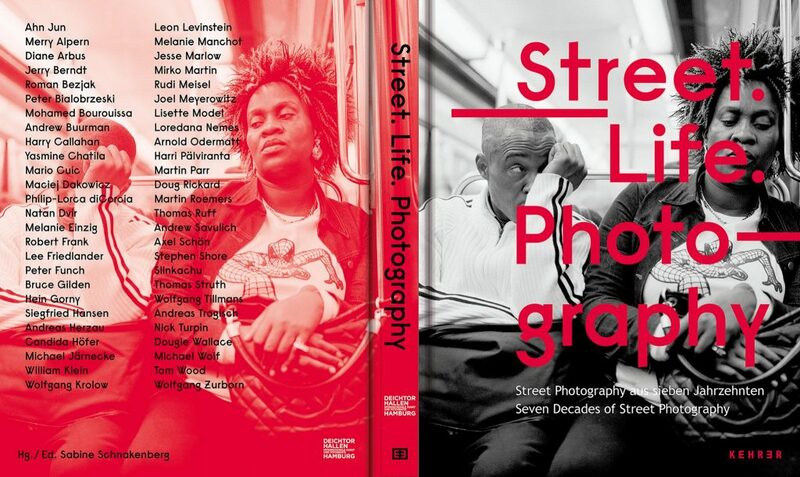 Masters of street photography such as Diane Arbus, Robert Frank, Lee Friedlander, William Klein, and Martin Parr will be presented alongside young international artists such as Maciej Dakowicz, Mohamed Bourouissa, Ahn Jun, Doug Rickard, and Harri Pälviranta. The exhibition will be divided into seven thematic groups: Street Life, Crashes, Public Transfer, Urban Space, Lines and Signs, and Anonymity and Alienation.